So, go through your insurance policy papers and understand the coverage. Do you have a homeowners insurance policy? If yes, then do you know the exact amount of coverage along with the policy inclusions and exclusions? You should know your policy well and be aware of the exact coverage you have. So, go through your insurance policy papers and understand the coverage. If you are not able to understand any of the items, then ask your insurance agent or your insurance company. Once you know your policy well, check out whether or not you have home insurance coverage for these things. 1. Cost of repair work – You may know that your home insurance policy covers the cost of repairing any item, no matter what the price is. However, your policy might not cover the entire repair cost after a storm. Therefore, you can opt for better protection. You can go for “extended” replacement which takes care of the unforeseen costs. If you opt for this coverage, at first you get a check of what the cash value is and then you get reimbursed for the extra cost after you replace the item. 2. Proper water damage coverage – One day after waking up, you may find that a shower pipe has leaked behind your bathroom wall. You immediately call your insurance company and find out that this is not included in your policy. In recent years, insurance companies have started reducing water damage coverage. So, are you thinking what is the way out? What you can do is get an insurance rider which covers such damages. You might have to pay about 20% more on your premium for such coverage, but you won’t have to worry about leaked pipes anymore. 3. Flood insurance in low-risk zones – Nowadays, the homeowners have to purchase flood insurance coverage through the National Flood Insurance Program. However, people staying in the high-risk zones only have that coverage. Also, the federal program offers a maximum of $100,000 for your personal belongings and $250,000 for the property. Therefore, think again before you invest a lot of money to decorate your basement, especially if you live near a water body. Also, avoid keeping valuables in your basement or at least remove them before a storm or a heavy snowfall, since melted snow can also cause flood. 4. Insurance to rebuild home – There is insurance coverage to rebuild the home you have. But, with the increase in building cost, it has become almost impossible for the insurance companies to provide coverage for exact cost of replacement. So, if your home is comparatively old, and especially if you live in a disaster-prone area, then it is better if you upgrade your policy. You might opt for a higher deductible if you want to reduce the premium cost. However, opt for it only if your financial situation allows you to bear the extra cost if in need. Next time you shop for a home insurance policy, make sure you get at least five quotes and compare the cost with the coverage. You should not opt for a policy just because you have to pay a lower premium; it might not provide certain coverage which is essential for you. Ask whatever questions come in your mind. After all, you are buying a product with your hard-earned money. So, make sure you have answers to all your queries. 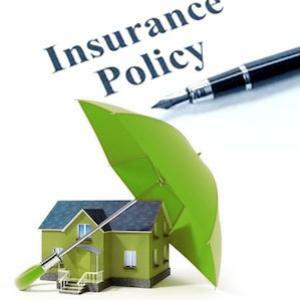 And, read your policy in details so that you are aware of all the terms and conditions of your home insurance policy. You should also shop around for policies when your previous policy is up for renewal. You never know another insurance company might offer you similar coverage at a lower cost. Therefore, always keep yourself updated about new products in the market so that you can opt for a homeowners insurance policy, which is most suitable to you.